The first trailer for the Ghostbusters reboot was released a few days ago and it is quite something. For those of us who grew up watching the original films, this first look will come as a shock. Please don’t get me wrong. It’s not about the all-female cast (which is actually a good one) or the story of the film per se. My problem watching the trailer is actually the comedic style of it. For me, the trailer tries to be funny in a cheesy way, but it actually does the opposite, something the original film didn’t do. I know, I know…this is a reboot, not a sequel. It’s a brand new and upbeat take on this group of ghost-chasing scientists for a new generation. But still…one will always remember the old gang. Directed by Paul Feig, the film stars Kristen Wiig, Kate McKinnon, Leslie Jones, Melissa McCarthy and Chris Hemsworth. 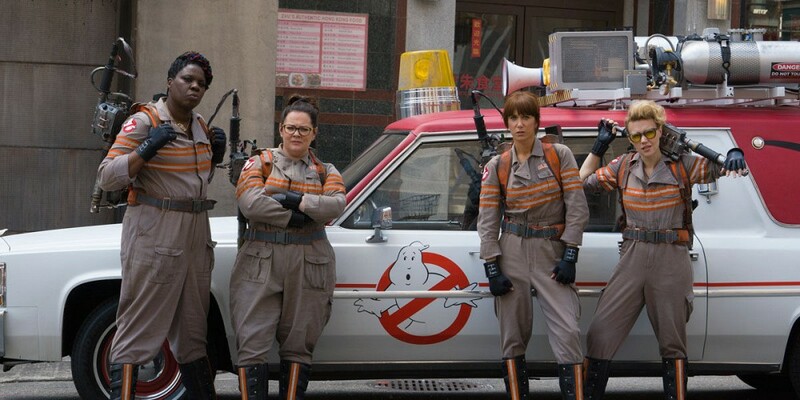 This Ghostbusters story takes place 30 years after the original story, where three paranormal physicists (McCarthy, Wiig and McKinnon) are joined by a Metropolitan Transportation Authority staffer (Jones) to uncover the recent increase of paranormal activity in the city. The trailer shows a lot of green-glowing ghosts (that remind me a lot of the ones in Scooby-Doo 2: Monsters Unleashed), Mr. Hemsworth as a receptionist (was that really necessary?) and bits of slapstick comedy. The good news? The trailer also shows the good old Ecto-1, Slimer and Proton packs! We will also get to see some familiar faces, like Dr. Raymond Stantz and Winston Zeddmore. Only for all those tiny things, the film has my attention. You better surprise me Mr. Feig. Ghostbusters will open on July 15 in the USA. Are you excited for it? Watch the trailer below and let us know what you think in the comments below! And don’t forget to check out the international trailer below!